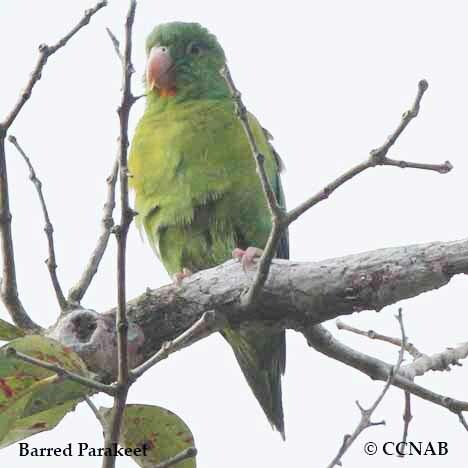 The Barred Parakeet is a smaller member of the parakeet family. 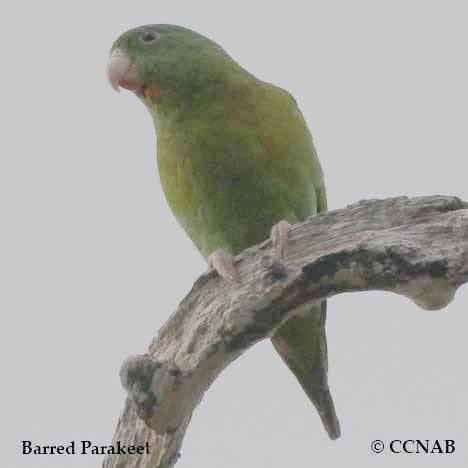 This short tailed and mostly green bird is native to the most southern areas of Mexcico, Latin and South America. 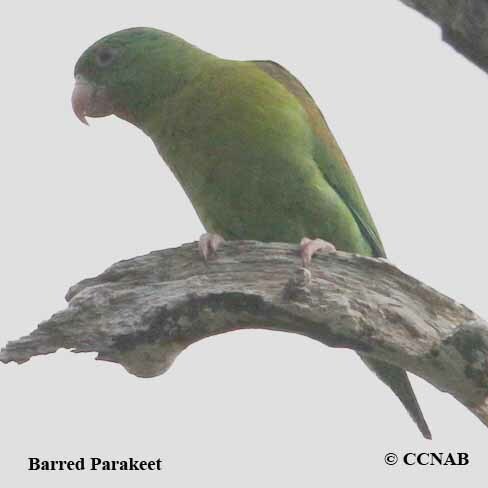 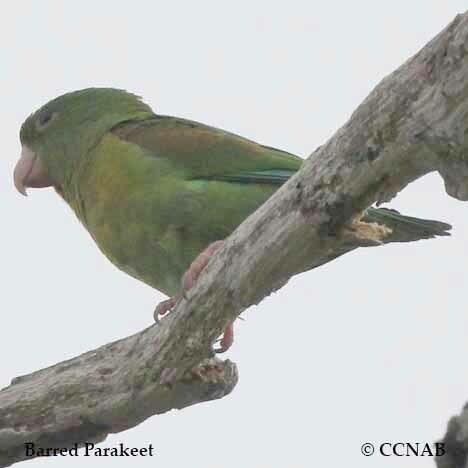 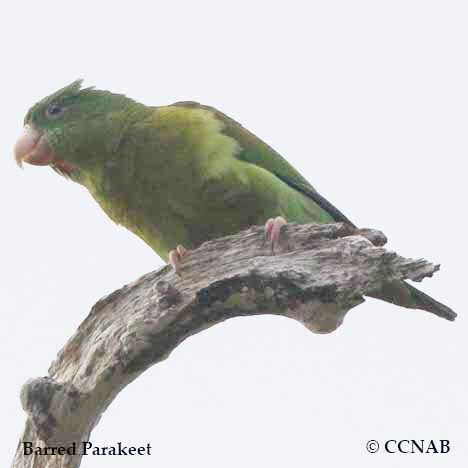 It is possible one might be seen in one of the southern US states, many parakeet species have either escaped cativity, or have been released by individuals.